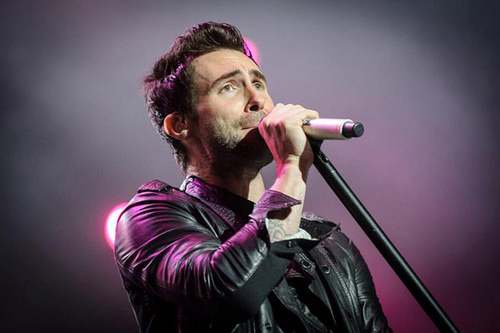 You’ve no doubt heard about Maroon 5 front man and The Voice star Adam Levine being sugar bombed recently, most likely in reference to the band’s current hit song Sugar. But what the assailant no doubt thought would be a hilarious prank turned out to be not so funny when he was arrested and charged with battery. Made physical contact of an insulting or provoking nature. So how does this apply to the sugar bombing? Let’s examine each element separately. Acting “knowingly” means that the defendant’s action could not have been accidental. The defendant must have either done it on purpose, or acted in a manner that he was reasonably certain would have resulted in Levine getting doused with sugar. If he had been walking down the street with a bag of sugar and dumped it only after tripping, that would not rise to the level of “knowing” required to be convicted of battery. This element means that the defendant could not have acted in self-defense, or because he had other legal justification to make physical contact with the victim. It is this “without legal justification” element that protects law enforcement from being charged with battery for routine arrests. The defendant in this case would have to prove that Levine attacked him, and that the defendant threw the sugar to protect himself from the attack. One way to complete a battery is for the defendant to have caused bodily harm to the victim. The harm doesn’t need to be severe or require medical attention in order to qualify. A scratch or bruise is the same as a broken bone in terms of meeting the harm requirement. If the sugar was thrown with enough force to cause even a reddening, or if it got into Levine’s eyes and caused a stinging, that slightest injury would be sufficient to constitute a battery. The second way to complete a battery is for the contact to be insulting or provoking. A shove may not cause bodily harm, but it is an act that provokes a response. If a shove is accompanied by trash talk, that could constitute contact of an insulting nature. Physical contact doesn’t need to be to the victim’s body; it can be to an object the victim is holding. Kicking a cane, or pushing a ball out of a person’s hands while making threatening statements could be considered contact of an insulting or provoking nature. The physical contact also does not need to be from the victim’s hand or other body part. The defendant only needs to have been in control of the item that made contact with the victim. The sugar bombing could meet either of these requirements, depending on the circumstances. If the defendant yelled any derogatory, inflammatory or insulting words to Levine during the attack, that would make it both insulting and provoking and would qualify as a battery. Likewise, throwing anything at a person would be considered provoking, as it could give rise to a retaliatory response by the victim. Physical contact with a person of any nature, no matter how slight, can give rise to a charge of battery. If you have been arrested, contact Chicago battery attorney David L. Freidberg. With more than 17 years of experience defending Chicago, Skokie and DuPage County residents from charges of battery, David L. Freidberg has the experience you need in a criminal defense attorney. Call 312-560-7100 today to schedule a free initial consultation. Someone is available to take your call 24/7.